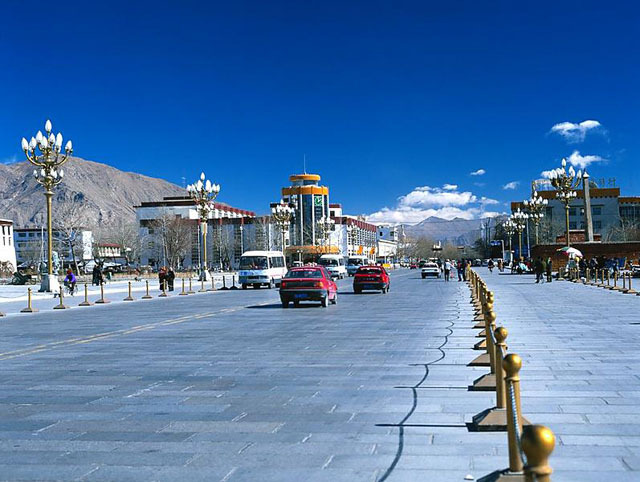 Shigatse, the second city of Tibet. (TibetanReview.net, Nov05, 2014) – China’s State Council, or cabinet, has approved a proposal from the Tibet Autonomous Region (TAR) to change the administrative status of Shigatse and Chamdo from prefectures to cities, reported China’s online Tibet news service eng.tibet.cn Nov 4, citing the local party mouthpiece Tibet Daily. Although it was not clear what the decision implies, apart from their names being changed from prefectures to cities, the report suggested that the decision entails administrative restructuring and preferential policies from Beijing. The report cited Wu Yingjie, standing vice-secretary of the TAR Party Committee, as saying the preferential policies will vigorously promote reform, development and stability and contribute to the well-being of the people in both Shigatse and Chamdo. The decision means that the TAR is now made up of four prefectures, namely, Nagchu (Chinese: Naqu), Ngari (Ali), Lhokha (Shannan) and Nyingtri (Ningchi), and three cities, namely Lhasa (Lasa), Shigatse (Xigaze), and Chamdo (Changdu).